Nanjing Normal University is delighted to offer Nanjing Municipal Government Scholarship to pursue postgraduate, undergraduate and non-degree programmes. Non-Chinese citizens are eligible to apply for this scholarship. The aim of the university is to provide financial help to Non-Chinese citizens. Nanjing Normal University is a normal university in Nanjing, Jiangsu province, China. Located in the ancient capital of six dynasties in Chinese history, Nanjing Normal University is one of the provincial key universities of “Project 211” under the supervision of the Ministry of Education and Jiangsu Provincial Government. Nanjing Normal University is now ranked as one of the top 5 normal universities and top 50 comprehensive universities in China with a number of national top subjects. Course Level: Scholarships are available to pursue postgraduate, undergraduate and non-degree programme. 2. English Language Requirements: Applicants should have the corresponding Chinese language level, and provide HSK certificate. Applicants for English-taught programs are not included. 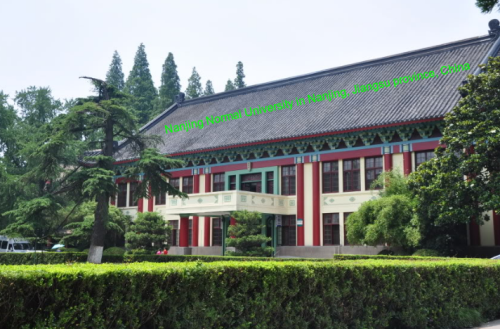 Now that all the information about Government Scholarship at Nanjing Normal University for International Students has been delivered nicely; interested and talented students who are eager to pursue their Free Tuition/Scholarships/Study in China can apply now.